Attorney Stranahan is presently handling a number of wrongful death cases on behalf of families who have lost their loved ones due to accidents caused by the negligence of another. 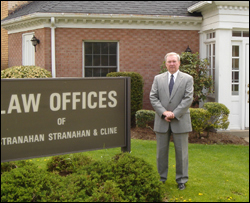 Attorney Stranahan’s thirty-seven plus (37+) years of experience, his ability to network with experts in appropriate fields, and his knowledge of the Court procedures enables him to achieve maximum results without unnecessary delays. Helping a widow whose inheritance from her deceased husband involved a professional practice which was mismanaged by the personal representative. In defending a family vs. First Merit Bank on mortgage foreclosures, Attorney Stranahan filed papers resulting in the settlement of the foreclosures action based upon several defects he found in the bank’s complaint. First Merit Bank, N.A. v. Duffy (No. 10586 of 2012, Lawrence County). Attorney Stranahan has also attended many seminars on Elder Law and has achieved expertise in Estate Planning, Wills, Trusts and Estate Administration. He writes many Wills, Power of Attorneys and Living Wills for clients each month. His years of experience and ability to explain Court procedures to his clients make for a smooth process of handling difficult Estate matters. If necessary, Attorney Stranahan also has the trial experience to litigate in Court. Recently, Attorney Stranahan had the opportunity to negotiate the settlement of an insurance claim for a local businessman who had his inventory damaged in a truck accident along Interstate 80. The insurance company for the trucking company that struck his vehicle and trailer is located out of state and became impossible to deal with for the businessman. After contacting our law firm, Attorney Stranahan successfully negotiated a settlement which was exactly what the businessman wanted. He contacted experts, appraised the personal property that was damaged, and received a settlement in the amount of $278,000.00 without the necessity of going to trial. The fact that our firm handles expensive litigation allowed us to negotiate this matter, even though the adjusters hired a large Pittsburgh firm in an attempt to defend the claim. Attorney James A. Stranahan, IV, over the past few years, has settled over $30,000,000 in estates by working closely with administrators and executors in resolving inheritance tax issues and making final distribution. Attorney Stranahan represents heirs and beneficiaries in estate litigation to see that they receive their fair legal share as a beneficiary. Attorney Jack W. Cline was selected as a TOP 100 Trial Lawyer by the National Trial Lawyers in June 2015 and again in 2016. This organization is invitation only and is composed of premier trial lawyers from each state who meet qualification as top civil plaintiff and/or criminal defense trial lawyers. Selection is based on a thorough multi-phase process which includes peer nominations combined with third-party research. Membership is extended solely to the select few of the most qualified attorneys from each state who demonstrate superior leadership, reputation, influence, stature and public profile. Under current law, Police must seek a warrant to obtain a blood test (not a breath test). If you are asked to consent to a blood test without a warrant and you do not do so, you can be penalized only at the very lowest DUI level. However, you will lose your driver’s license for either twelve (12) to eighteen (18) months. Your other option is to agree to the blood test but write on the consent form that your consent was “coerced by threat of enhanced penalties”. Attorney Cline obtained a complete acquittal after a three (3) day Jury Trial when a man was accused of two (2) felony counts of luring children into his vehicle. Attorney Cline was able to establish from video surveillance tapes that the Defendant’s vehicle had not left the premises during the time period that was alleged, and medical records show that the Defendant was at his Doctor’s office during the time of the other alleged incident. Jack W. Cline, Esquire handled a case regarding a motorcyclist who sustained serious injuries when he had to put his bike down to avoid a collision with a truck that ran a stop sign. 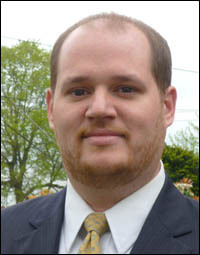 Attorney Cline was able to recover the policy limits for the motorcyclist. As business conditions improve, Attorney Cline has been able to help several small businesses incorporate as Subchapter S, LLC Corporations. Attorney Cline also assists clients in obtaining and transferring distillery, brewery and liquor licenses. Attorney Cline continues to obtain Expungements for individuals who he has defended and had charges dismissed. Illegal traffic stops and subsequent arrests by police officers outside of their jurisdiction are an all too common occurrence. Attorney Metrick and Attorney Cline have represented motorists unfairly victimized by these circumstances. One such individual was stopped by a Theil College police officer in the city of Greenville, PA, and was later arrest for DUI. Attorney Metrick and Attorney Cline successfully argued that the stop was made outside the officer’s jurisdiction boundaries, and any evidence obtained after that stop could not be used by the prosecution. All charges against the motorist were dismissed. Commonwealth v. Walsh, 307 CD 2007, Mercer County Court of Common Pleas. If an individual is involved in an incident of alleged child abuse, Children and Youth Servicers may add that person’s name to the statewide ChildLine Registry, even in cases where abuse is merely “indicated”. This registration could have far-reaching implications on the individual’s future employment or participation in any activity that involves children. Attorney Greg Metrick has handled several cases against Children and Youth Services, and has recently successfully argued for complete removal of an individual’s “indicated” status from the ChildLine Registry. Appeal of C.A. in re C.R., BHA Docket No. 021-12-0250, 2012. Seldom are emotions deeper or the stakes higher than in the field of child custody law, particularly when one parent seeks to relocate with the child due to a career change or other circumstances. Beginning in 2010, Pennsylvania law required judges to consider specific enumerated factors when making the crucial decision as to whether relocation is in the best interest of the child. Attorney Metrick has studied these factors carefully and put his knowledge into practice by representing several individuals in relocation hearings in Mercer and surrounding counties. Attorney Gregory D. Metrick recently handled a custody relocation case that has languished for several years before his involvement. In that case, while representing a child’s mother who sought to move from Pennsylvania to build her new family and drastically improve her career, Attorney Greg Metrick successfully argued that it was in her child’s best interest to remain with her. Boughner v. Wall, No. A.D. 2002-616, Crawford County. Attorney Greg Metrick won a complete acquittal for his client on Felony charges after a Jury Trial before President Judge Thomas R. Dobson in February 2016. A. Facing Charges for Trying to Buy a Gun? breaking the law, you can be charged with a felony offense. Attorney Metrick has extensive experience in representing individuals in defense of criminal charges arising from the completion of firearms transaction forms. B. Need Record Cleared to Buy a Gun? Additionally, if you have a criminal record or a mental health record that restricts you from obtaining a firearm, it may be possible to have these blemishes expunged from your record, thereby lifting the restriction. Attorney Metrick has petitioned and appeared before courts representing numerous individuals seeking to clear their record of past incidents that are keeping them from buying a firearm. This expungement law is very complex and is contained within the firearms code. Call for a free consultation with Attorney Metrick to determine if this law applies to you. C. Hunting Privileges in Danger? Pennsylvania has a strong and distinguished hunting heritage, and many of our citizens view this pastime as a cherished cornerstone of their lives. However, those who have run afoul of Pennsylvania’s complex and sometimes confusing game laws, risk having this privilege suspended or revoked. These laws are enforced by the Pennsylvania Game Commission, and Attorney Metrick is experienced in dealing with this agency in defense of his clients’ valued privilege to hunt in Pennsylvania.